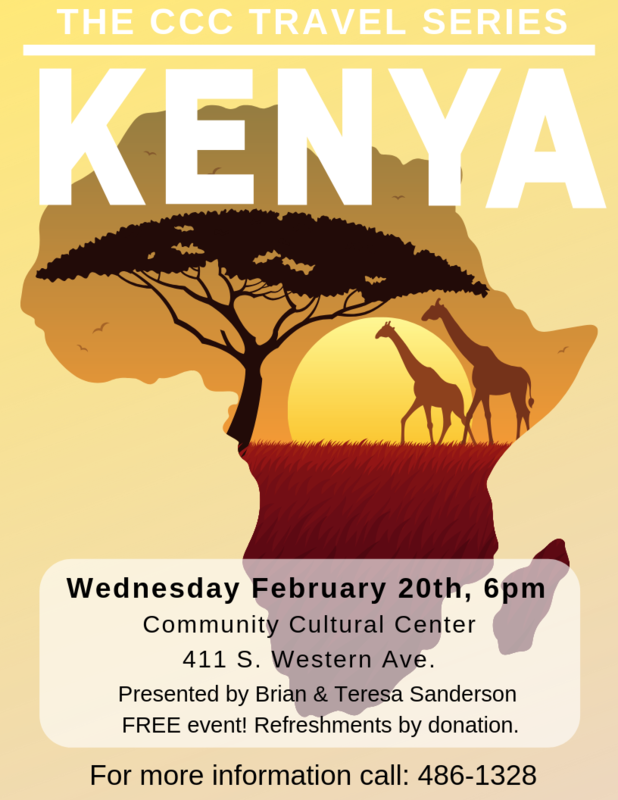 Come see the beautiful country of Kenya! Presented by Brian & Teresa Sanderson. Admission is free. Refreshments by donations. 6 p.m.